There is never a time of the year when having a plumbing malfunction is ‘easy’. In fact, most plumbing malfunctions are downright inconvenient. However, during these winter months when there is severe weather and low temperatures a plumbing malfunction is nothing short of a disaster. One of the most common plumbing malfunctions is a frozen pipe that will then burst and cause severe water damage. However, another scenario, that is equally disastrous is a broken water heater. There is no other time of the year that having a water heater malfunction could be more disruptive. When you get home from a long day running errands around town in the freezing temperatures, having a hot shower waiting for you makes it all seem a little more bearable. One of the best ways to ensure that your water heater stays in top condition is to only hire a professional and qualified professional for your water heater maintenance and repairs. Do your online research. Make sure that you look up the name of the company online to read any reviews or feedback that have been published by other customers. Places like Yelp and Facebook are prime for reading all sorts of feedback about a variety of services. Read through the reviews and look to see if the company has replied to any concerns and how their replies were worded. Make sure they have experience. Ask the company about how long they have been in business and how many projects they have done that are like yours. 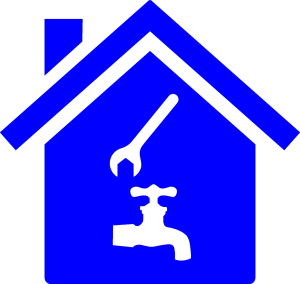 Some plumbing companies specialize in specific areas and some are more general. You want to make sure that the company that you choose has extensive knowledge and experience working with all types of water heaters. Check their certificates and licenses. Make sure that the company that you are considering hiring has proper licensure and certifications. In this day and age, there is no reason to work with a plumber who does not have a license that is in good standing. If you take a few minutes to do some research – you will find a qualified and licensed professional. Before you settle on a plumber to hire make sure that you do this research and hire the company that is licensed and qualified.